for $549,000 with 3 bedrooms and 2 full baths. This home was built in 2017 on a lot size of 0.87. A RARE OPPORTUNITY TO OWN A 2017 LAKE GLENVILLE HOME! 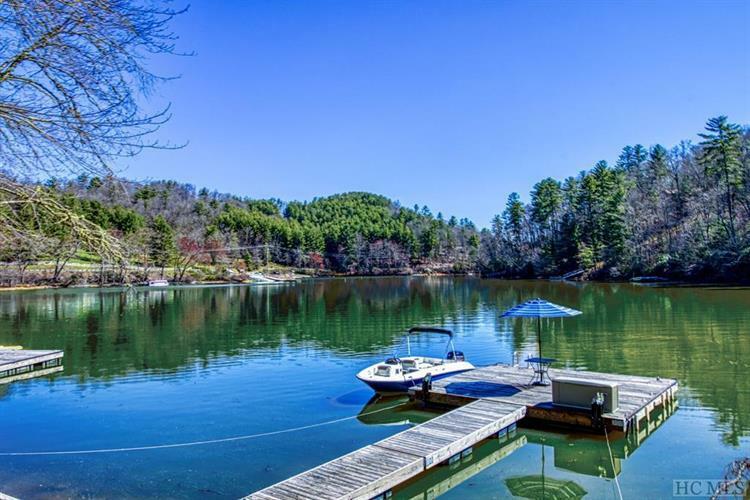 This ALL ONE LEVEL, 3 bedroom, 2 bath home was just built in 2017, and Comes with its own Lake Front lot and Private Boat Dock. It has a split bedroom plan with Master en suite on one side and 2 guest bedrooms with full bath on the other. Spacious living room with wood burning fireplace is open to the dining area. Sunny kitchen with large pantry for the chef in the family. Every closet in the home is walk-in - lots of storage space! New wrap around deck with some lake views, both covered and open to enjoy the sunshine. Home sits on approximately 0.86 acre flat lot, has a storage shed and includes a .01 ac dock lot. 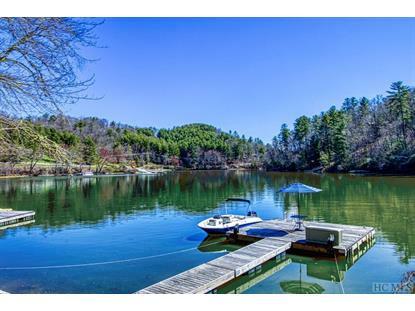 This beautiful home is ready for its new owner to add their personal touches and start enjoying life in the mountains of North Carolina - this home is a must see!